Yoga lotus pink figure logo. 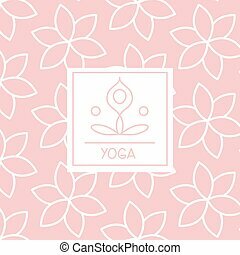 Yoga lotus pink figure vector icon. Pink lotus flower, business vector logo design illustration. Decorative floral symbol.